Tesla has acquired energy storage company Maxwell Technologies in an all-stock deal valued at $218 million, a deal aimed at helping the electric automaker improve its batteries and lower costs as more competitors enter the market. 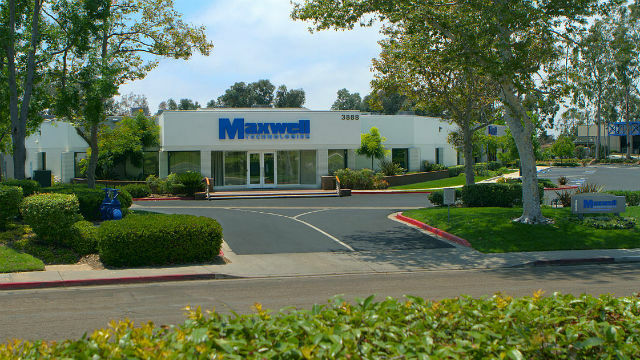 The offer will value each of Maxwell’s 45.9 million shares at $4.75. The merger is expected to close in the second quarter of 2019. “We believe this transaction is in the best interests of Maxwell stockholders and offers investors the opportunity to participate in Tesla’s mission of accelerating the advent of sustainable transport and energy,” Maxwell CEO and President Franz Fink said in a company announcement. Maxwell Technologies’ primary focus has been on ultracapacitors — energy storage devices that can charge and discharge rapidly, perform at a wide range of temperatures and have high power density and long operational life. In December, the company sold its high-voltage battery product line to Renaissance Investment Foundation for $55.1 million in cash and up to $15 million in potential future milestone payments. The secret sauce is Maxwell’s dry electrode technology, which is used to make the ultracapacitors. The company says this dry electrode technology, which can be applied to batteries of varying chemistries, boosts performance and is more cost-effective than the more commonly used wet electrode technology. That application could give Tesla a boost in an increasingly competitive electric vehicle market. A number of automakers are introducing, or have introduced, electric vehicles in the past several months, including the Jaguar I-PACE, Audi e-tron SUV, Kia e-Niro and the Hyundai Kona. “We are always looking for potential acquisitions that make sense for the business and support Tesla’s mission to accelerate the world’s transition to sustainable energy,” a Tesla spokesman said in an emailed statement. Tesla CEO Elon Musk is a fan of uItracapacitors and has long viewed the technology as the possible path to a breakthrough in battery performance. He even tweeted back in 2013 that he was going to do his PhD at Stanford on ultracapacitors. 18-year-old Eesha Khare, a senior at Lynbrook High School, has been recognized as one of the best young scientists in the world. Tesla has put considerable effort and investment toward improving its batteries beyond this latest acquisition. In 2015, Tesla signed a five-year exclusive partnership with Jeff Dahn, a leading lithium-ion battery researcher and professor at Dalhousie University in Nova Scotia. The exclusive partnership with Tesla began in June 2016, after Dahn completed another research project.